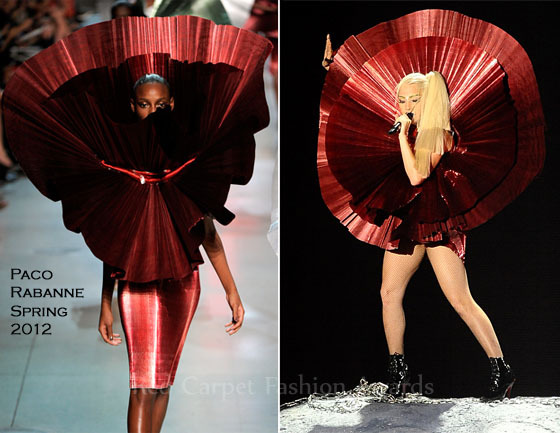 I do not know if Lady Gaga read our post or her stylist did but I was mightily happy to see Gaga in ensembles from Paco Rabanne’s Spring/Summer 2012 Collection, which was designed by Manish Arora for Paco Rabanne at the 2011 MTV Europe Music Awards. Manish Arora had Philip Treacy design Flying Saucer Hats, with slits for the eyes and Nicholas Kirkwood designed Crystal Heels. Incidentally Paco Rabanne was infamous for his interest in Paranormal Phenomena. 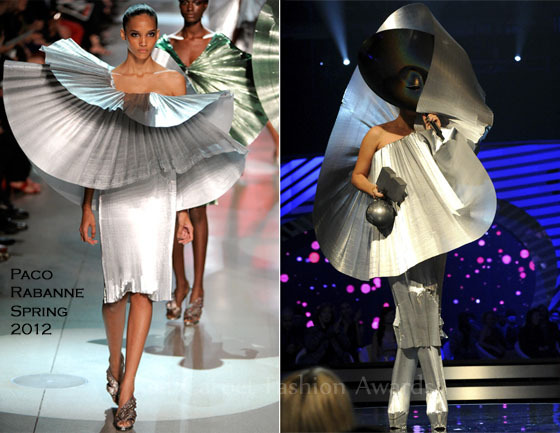 For the final sequence Manish sent out models dressed as flowers from the future with massive circular metallic collars. 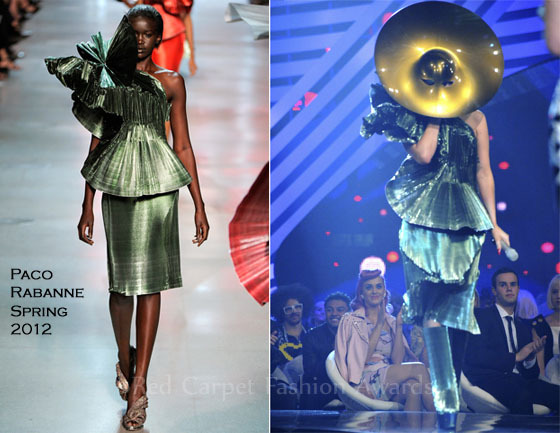 Cheers to Manish Arora and also let me bask in the glory of the fact that Fashionscandal’s advise being given heed to by Lady Gaga (though it may just be a coincidence ;)!